Back by super popular demand (hey Adria! what’s up Dawn? 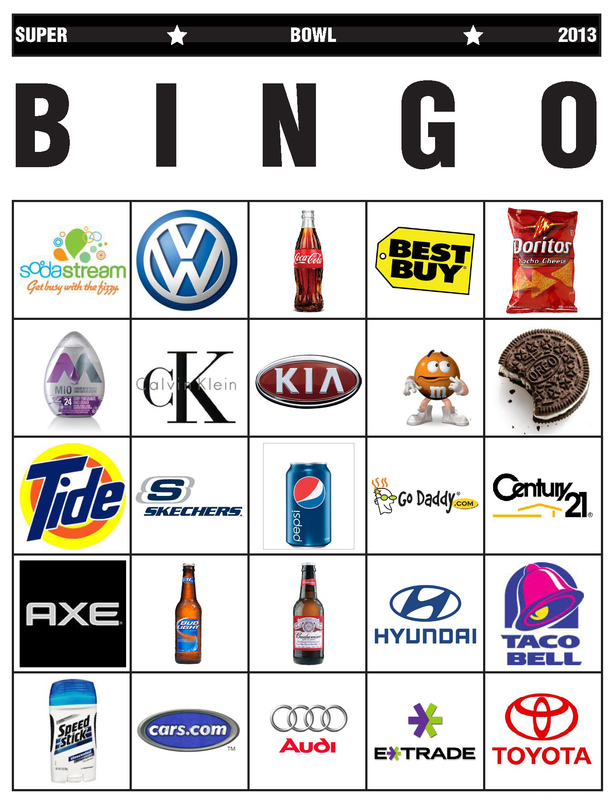 ), it’s SUPER BOWL BINGO. Practically guaranteed* to hold the interest of almost any non-game watching game watcher. Playing is simple – keep a sharp eye on the ads and have your card handy. When an ad plays, check your card to see if the product or company logo is represented on your grid. If it is, mark it off. You can use a pen, chips, coins, or official bingo dauber. The game is up to you, but I like to play straight-up bingo, no four corners, no postage stamp, no blackout. First person to get bingo is the WINNER (prize is up to you).